A few days ago, Adebayo Sh!ttu, minister of communication, went on a rant rampage on radio dismissing Omoyele Sowore, publisher of Sahara Reporters, as a “minion, small boy and inconsequential” for his audacity to run for presidential office. Sowore, a young Nigerian, is perhaps the only presidential hopeful who is all out on the stump. 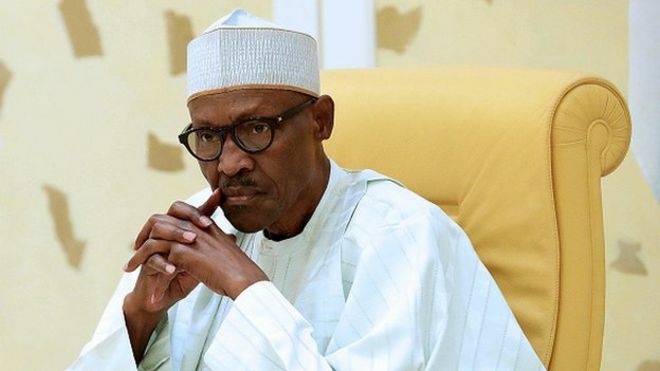 Big-time politicians have retreated into their trenches since President Muhammadu Buhari declared his intention to seek re-election. At the time, I wrote that Sh!ttu’s verbal farts showed the “class disdain” for young Nigerians. Buhari’s recent atrocious confession affirms this. Let me put the president’s statement here. “About the economy, we have a very young population; our population is estimated conservatively to be 180 million. This is a very conservative one,” he said. It is discomfiting that this is impression Buhari has of young Nigerians. And he said the youth want to get “housing, healthcare, education free”! Perhaps, I need to remind Mr. President that he and his generation fed fat on the country’s largesse. In the days of Mr. President, children were literally conscripted into schools. In fact, parents who refused to send their kids to school were jailed. Education was free! The president said this himself in a book authored by Professor John Paden, his biographer. In the book, the president said he hated going to school, but he had no choice. Education was compulsory. But as you read these lines, there are about 12 million children roaming the streets in the north. No education, no care! Some have taken up drugs as an escape from their somber existence. Also, in the days of Buhari, a civil servant was entitled to decent accommodation and healthcare benefits. But in my days, it is not so. The Nigerian youth have not been given anything; they have to earn every penny, every comfort, and every laurel, even in their quotidian existence. The old generation of coupists, the corrupt and bigots bequeathed nothing to my generation but ethnic distrust, suspicion, religious intolerance, and corruption. That Nigeria is still stuck in time is because of Mr. President and his ilk. And that the country is one of the most hated places on the planet is because of Mr. President and his generation. Perhaps, Mr. President does not know that the goodwill Nigeria seems to enjoy now is because of the excellence of young Nigerians who have excelled in all fields despite the hovel that is the country. The youth are the psychiatrists, who give this country a semblance of sanity, Mr. President should show some respect. How Much Do You Know Duncan Mighty?